A field trip is an experiential learning at its best. 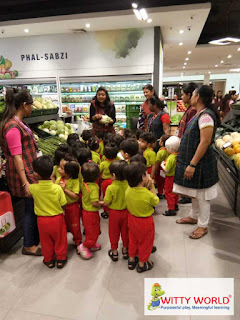 The theme for the month for Playgroup was fruits and vegetables, and as an extension of this theme children were taken on a supermarket visit. 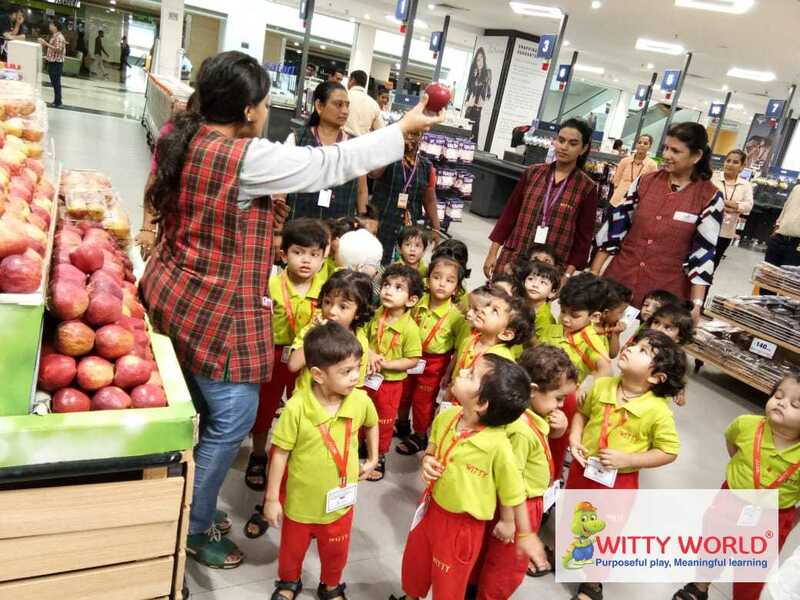 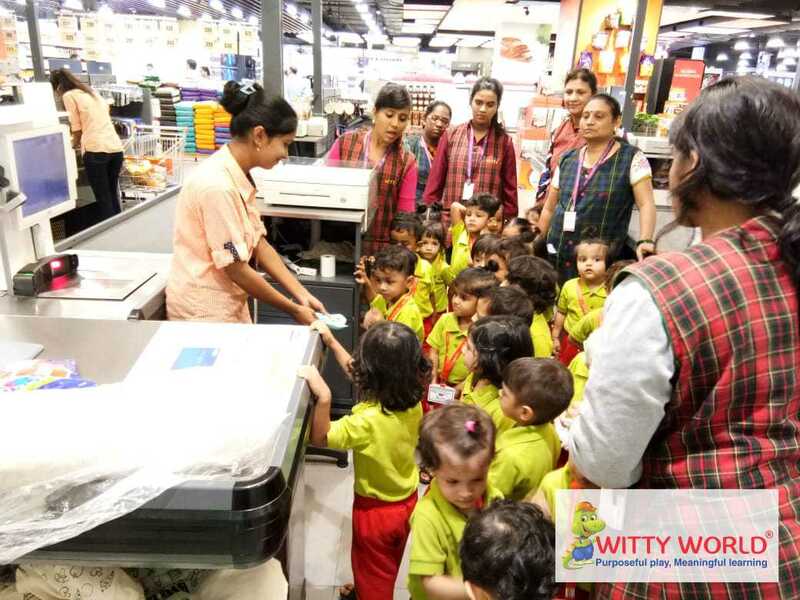 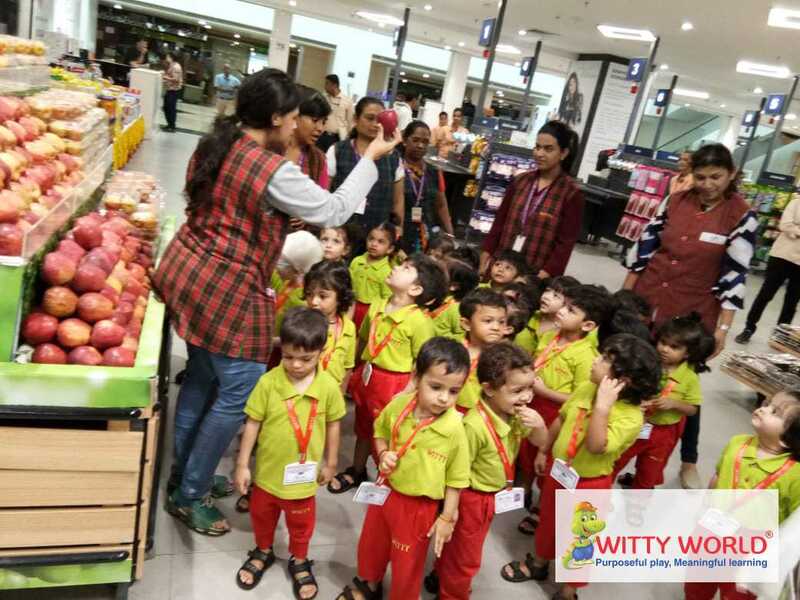 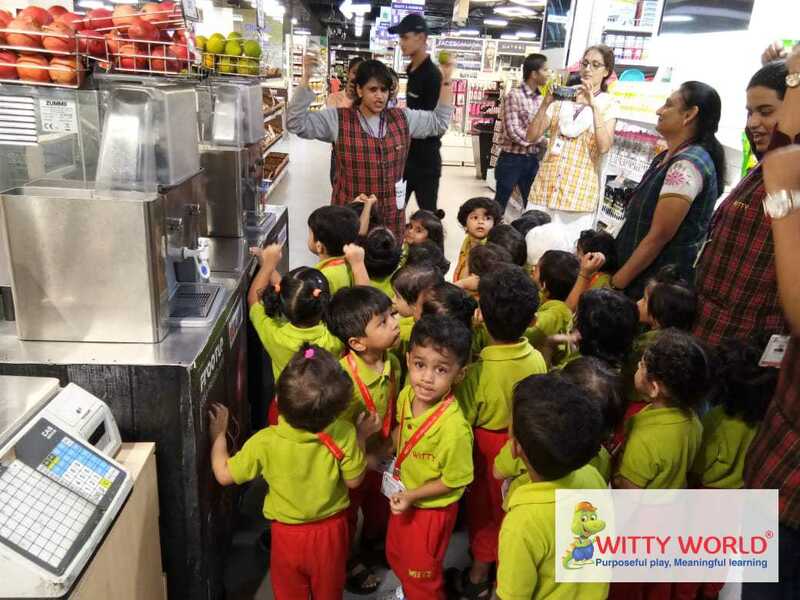 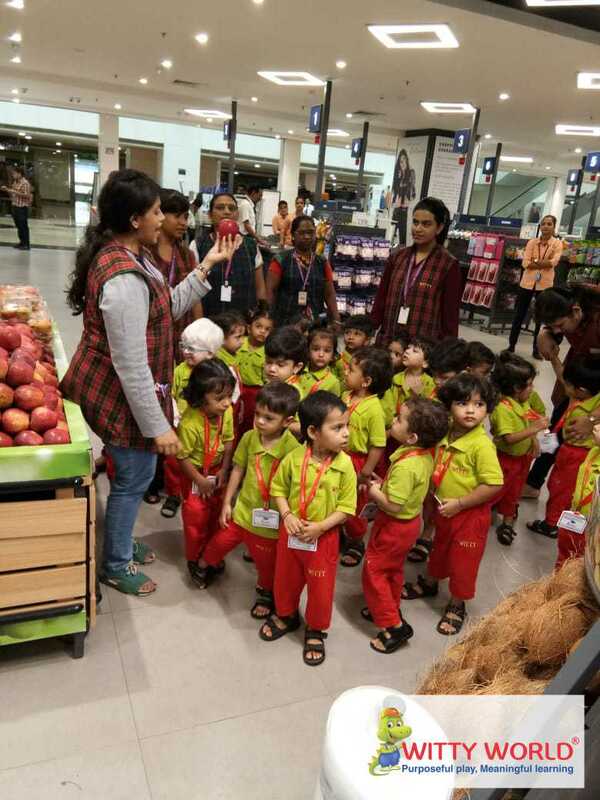 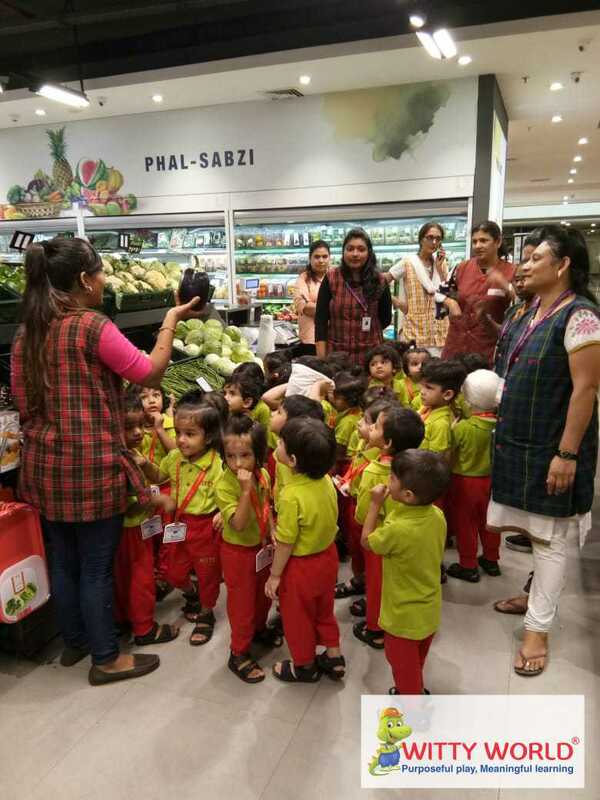 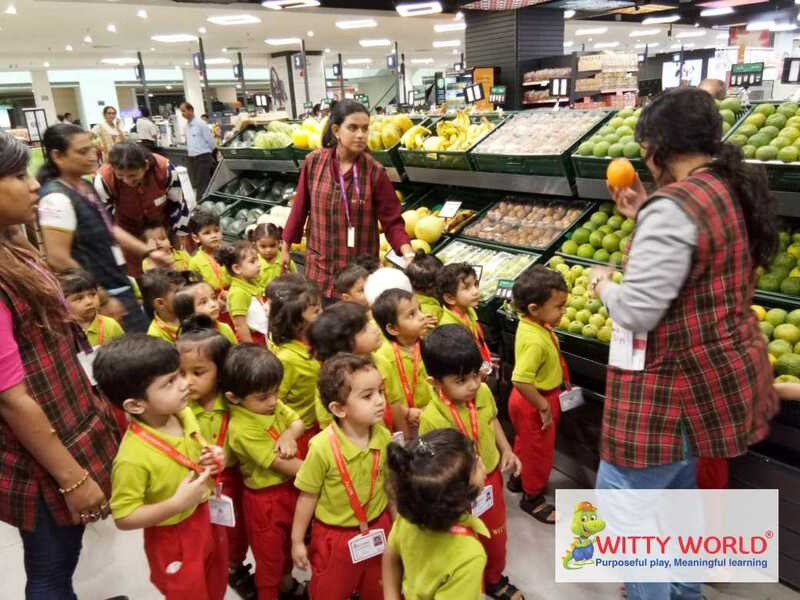 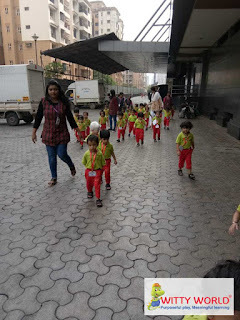 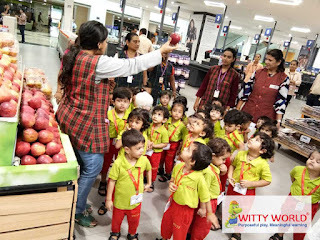 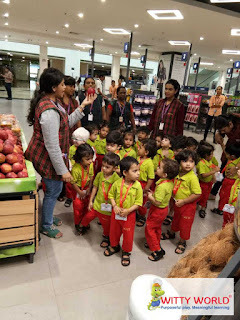 Little Wittians of Playgroup class at, Witty World Bangur nagar visited supermarket on Friday, 28th September 2018.For the kids, the trip was an adventure. 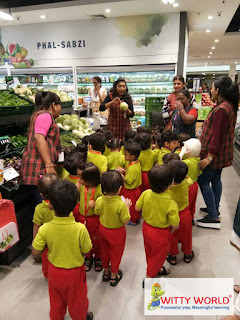 They had fun there, going through all the aisles, pointing out to their favourite products and toys..The highlight of the trip was, of course, the fruits and vegetables section which the children explored with great enthusiasm.